Home ›News/Insights ›Out of Work for Longer than a Year? Out of Work for Longer than a Year? Out of work for longer than a year? If so, you are part of the so called “long-term unemployed” folks. This is obviously not a fun place to be. While things seem to be improving on the employment scene, we still have a high percentage of long-term unemployed workers; 20.3% of total unemployed people are classified as long-term unemployed. Self Assessment: If you’ve been out of work for 12 months, you may be a bit beaten up. You may be emotionally drained, you may be financially strapped, you may have taken on some habits that are not supportive, and/or you may have strained relationships with people you really care about. The first step is to take a look at your current situation and deal with what you need to deal with. Job search is much like building a structure; you need a solid foundation. Seek out the appropriate professional as needed. Career Transition or Outplacement: Did you have access to these types of services when you left your last organization? If yes, when was the last time you had contact with your consultant? If it’s been a while, it’s time to reach out to your consultant to reconnect and find out if you still have access to your services. Reputable organizations may extend support beyond original program timelines. When you reach out, be clear about how your consultant can help you. If you did not have access to Career Transition services, then it may be worth hiring a Career Coach to assist with the process. Value Proposition: What do you bring to employers that will help them drive revenues, increase margins, cut expenses, improve diversity; you get the idea. In this situation, you need to be very clear about how you will benefit the organization. Write out your key accomplishments. Sometimes, it helps to think of differentiators. If we brought the top 10 candidates for a position into one room (of course you are one of them), what do you bring to the table that many of the other candidates wouldn’t bring? Activity Evaluation: What have you been doing up to this point? How are you spending your time? It’s time to make a critical evaluation of what you’ve been doing with your days. Have other activities entered your life and taken up chunks of time? While this can sometimes be healthy, it’s important to put in the job search time to make things happen. Have you sent 100’s of resumes and gotten few interviews? Then it may be time to look at your application packages. 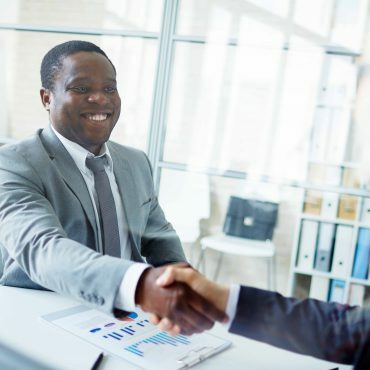 Are you getting interviews, but not getting to the offer stage? Then it may be time to look at your interviewing skills. In times of high unemployment, the percentage of people that land in a new position through someone they know increases. Are you spending time reconnecting with old connections? How about connecting with people that you don’t know through introductions? Focus Your Search: At first, this may seem counter-intuitive. Why would it be beneficial to cut down on the number of job applications or eliminate some possibilities? It turns out that if you focus your search on what you’re really interested in, your network now knows how to help you. If you’re very clear about what you want to do, you can now ask for introductions to people that do that work and are in organizations that are of interest. Think back to your “Value Proposition” and find the work and organizations that would benefit most from what you do. Volunteer: Volunteering is a good way to get back in the game. People who have been out of work for an extended time have likely lost contact with some connections. Volunteering also introduces you to a whole new set of connections. Various studies have shown that volunteering shortens job search times by 7% to 27%. Be sure to pick something that you truly enjoy and that uses skills that you want to use in the workplace rather than thinking about the outcome of getting a job. You may also want to set a cap on the amount of time you commit to volunteering. It’s easy to have this component dominate your job search activities without careful planning. Doing an internet search for “your city” and “volunteer” should bring up websites where you can browse various opportunities or contact your local library. Career Change: In some cases, it may be advisable to consider a career change. Some people may already have some ideas about what they would like to do, others may be uncertain. One suggestion if you are not sure is to take an assessment. Another suggestion is to visit your neighborhood library and wander the books. Take note of where you are drawn. There may be something work related that is worth exploring. Once you have a target, find and talk to people that are doing the work. Ask questions. What’s it like to do the work on a daily basis? Do they recommend education pieces, or can you get into the work with your current skills? If you can’t do the work right away, are there stepping stones that will get you closer to your target? Be OK with It: You are basically the same person as when you were working. In fact, you may be more valuable to an employer now. Reflecting on your current situation may allow you to bring a certain grounding when you do land in a new role. You bring much to the table. Don’t allow the fact that you have not been in a paid position for an extended period of time diminish the you that you are. Be ready to explain what you’ve been doing, which can be going on a sabbatical or spending extended time with your family if that is what you’ve been doing. Do so with your head held high. Hopefully, this provides some thoughts and ideas for moving forward. Remember that everyone needs help in some form or another from time to time. Job search is a roller coaster of a ride. If you get stuck in one of the dips, reach out to someone you trust who can listen, provide support, and help you regain your momentum. And if you’re not inclined to do so because you don’t want to impose, simply think of how you would feel and what you would do if someone in your situation came to you for help.